For my birthday i received many wonderful greetings. I am so very thankful for the many people who i get to experience life with. 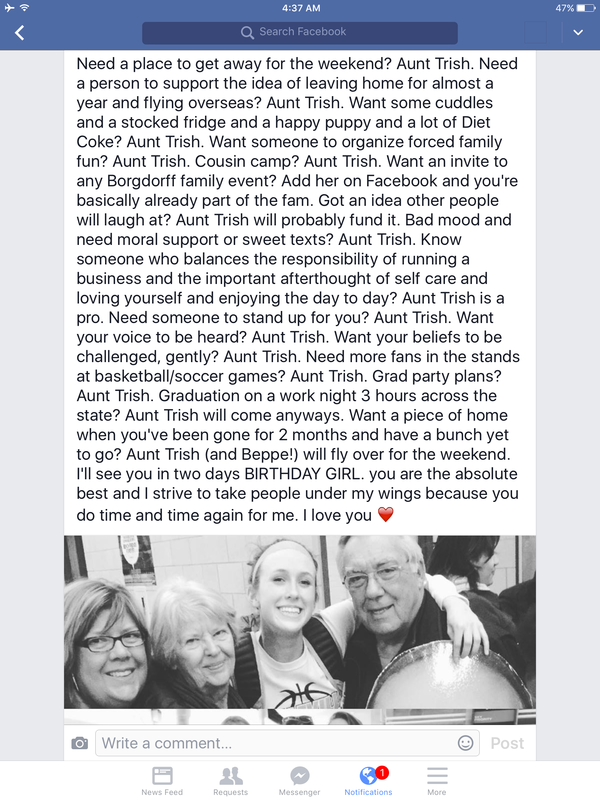 As i have said before, i blog so in the next 20, 30 or 50 years there will be fun stories to read about life through the eyes and heart of Aunt Trish. So this post i am printing so i never lose track of this generous birthday greeting from my niece Olivia. I love her love for words. I smiled at each one and tears spilled from my eyes as my heart swelled. So thankful for this girl and the special relationship we share.